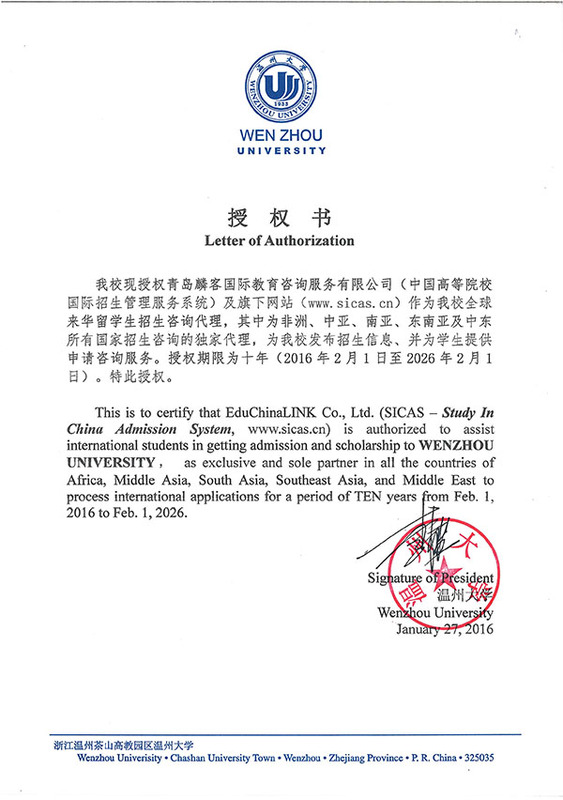 Wenzhou University (WZU) is a dynamic and comprehensive regional university growing up with the reform and opening up momentum of China. It ranks top 10% among all the higher education institutions in China and ranks 10th in Zhejiang province. Its academic programs cover 9 discipline areas including literature, science, engineering, law, education, economics, history, management and art. As of December 2014, the university has established exchange and cooperation relations with over 60 universities and research institutes from about 20 countries and regions such as the United States, Canada, the United Kingdom, Australia, the Netherlands, Japan and Korea. The university has always attached great importance to international students' education and all the 55 undergraduate programs and 45 postgraduate programs are open to international students.